Live for truth. Love your authentic self. Leave lies behind and live the life you really want. The lies no longer work. What remains is the truth. The lies we tell ourselves about who we are or who we aren't become more apparent as we form a closer bond with our soul. The key is to look at the beliefs we hold about ourselves and see whether they are empowering or disempowering us. The ones that are disempowering often come from fear, and they tend to stop us from embodying our truest and most authentic selves. These beliefs can be formed through family, friends or experiences that put us in a state of fear, and with time become a part of our psyche. Know that we can break free from these negative beliefs by recognizing our mental blockages, which often go unnoticed. From there, we can begin to transform them through more self-affirming beliefs and slowly alter our mindset. The thing about self-affirmations is that we can't force them. Saying affirmations or visualizing outcomes that seem too perfect to be true to us can work against us, because we can't place our faith in them. As to why it's helpful to begin with affirmations or visualizations that feel most natural to us. 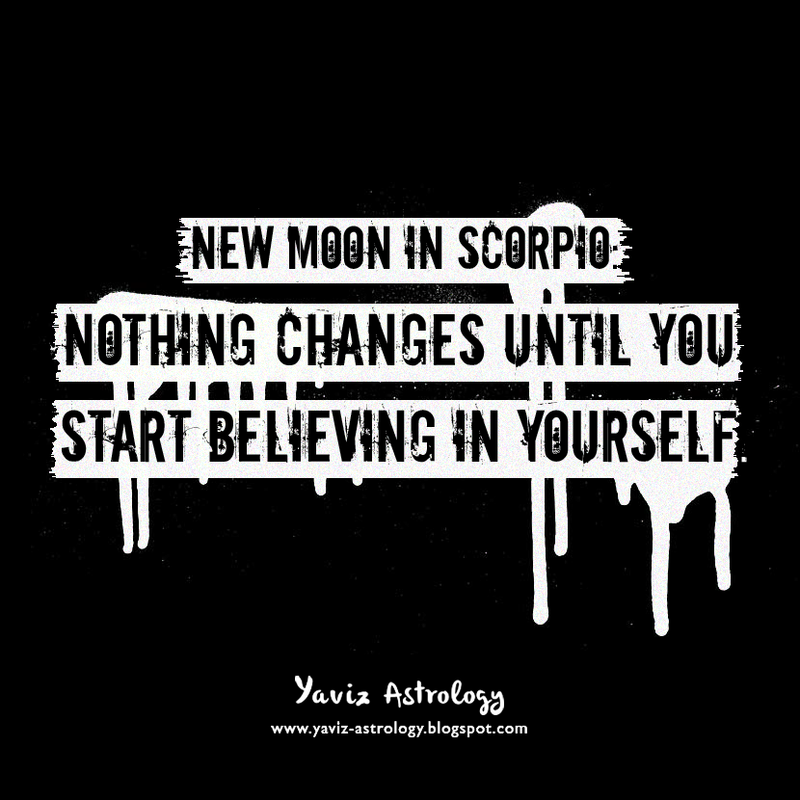 This Full Moon is that opportune time to use our conscious mind to steer old, outdated beliefs we have into a new and more empowering direction. we can't place our faith in them. Happy Full Moon! 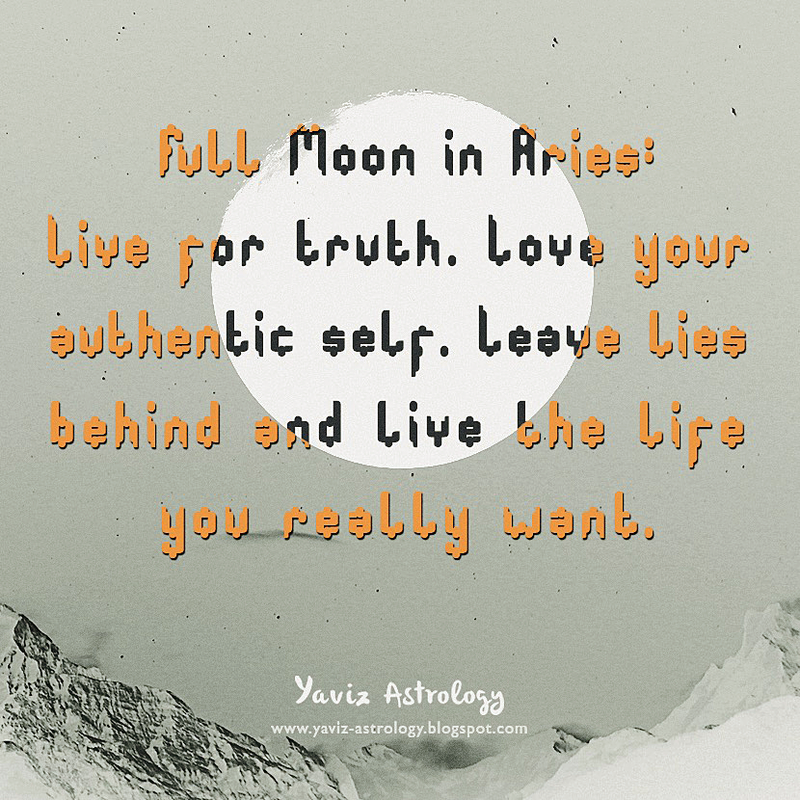 The Moon is joining Uranus Rx in Aries forming an opposition to Jupiter, Mercury and the Sun in Libra, marking a transformative and revelatory Full Moon in the sign of the Ram. Letting go of the old and letting in the new is the only way we can feel brand new. Learning the true value of self-belief is the key to unlock our true potentials now. Does life feel like an endless experience of worrying or doubting ourselves? Do we feel like we don't deserve to have the so-called good things in life? Perhaps the problem lies in our confidence, in our belief in our ability to bring about successful outcomes when we experience challenges. Pay close attention to the choices we make and the way we talk to ourselves internally. The way we relate to ourselves can have an impact on the way we relate to others, which in turn affects our own internal dynamics. Changing our attitude toward ourselves is that first important step to building confidence that's not based on external factors. With unshakable confidence, we can become more resilient in the face of adversity, and we also trust ourselves enough to keep taking the next step - even when circumstances seem uncertain. The Moon conjoining Uranus Rx in Aries is asking us to imagine what a transformation it would be if we could go through life trusting in our capabilities. affects our own internal dynamics. With the Moon's trine to Saturn, we are reminded that everything has its season, its divine timing, especially when it comes to matters of the heart. Have we been feeling as if the clock is ticking and gotten a little anxious that our dreams are taking too long to manifest? Remember that we always have enough time for love - to find it, nurture it, give and receive it. Stay positive and make a commitment to remain in high-vibration thoughts and feelings. Let our fears be gently released by our new self-belief, and know what is truly ours will never be withheld from us. The Moon is also forming a square to Mars and Pluto, and the understanding that arises from difficulties is the door into our new life. A spirit of regeneration is in the air, and a rebirth is assured. What happens when it appears that we have failed at something? Do we dwell on the past and blame ourselves? Or do we see the beauty in the lesson? Now is one of those times when out of seeming loss and failure, comes remarkable rebirth. Endings may come in many forms, but now is the time to let whatever isn't working in our life die. So let go of what must die, and affirm, "I am being reborn into a more solid, steady and confident version of myself. And this is, in essence and in truth, who I really am."